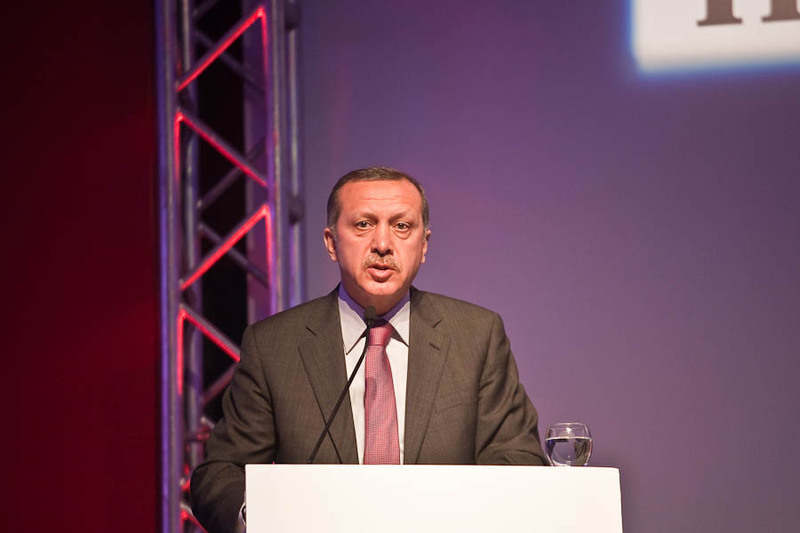 Prime Minister of Turkey, Reccep Erdogan giving a speech during a plant opening in Bursa. I was invited by my company to the opening ceremony of our new assembly line last week end. The high time of the afternoon was a speech delivered by the Prime minister. Of course, I brought my camera there and I was surrounded by tenth of journalists and photographers. There was also bodyguards and security guys with dogs everywhere as required by the situation. Security did not allow people to move around during speeches so I take pics mainly from my seat with long zoom... and fortunately I had a good seat.